Purple Mountain Designs ARE YOU A SUPPLIER? Established in 2004 and based in West Yorkshire, Purple Mountain Designs specialises in made to order stationery. A small company, Purple Mountain Designs can be personally focused on your specific vision. 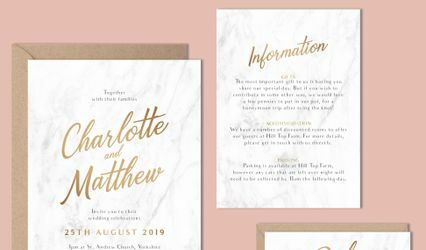 As each stationery set is custom made, colour schemes and designs can be paired to create the perfect invitation according to your choice at your budget. Purple Mountain Designs focuses on made to order stationary, with a wide range of styles and colours. They also offer a bespoke card creation for any ideas that haven’t already been realized. Bisedes, gifts such as guest books, keepsake boxes and photo albums are also available. 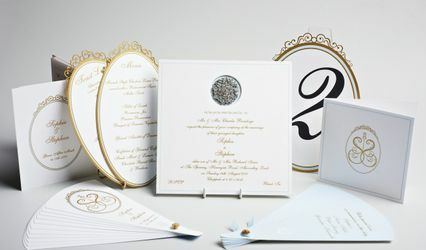 Their stationery set extends beyond invitations to include RSVP cards, place cards, thank you cards, menus, save the date cards, table plans, and table numbers. 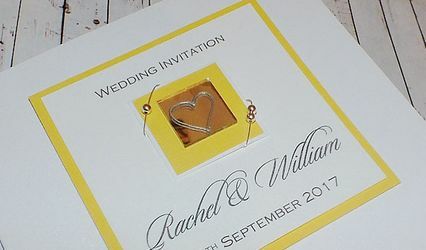 A unique addition to their wedding stationery is handmade designs painted on to glass or mirror tiles. Other than wedding stationeries, Purple Mountain Designs also offers cards for a wide range of events, including greeting cards, birthday cards, Christmas cards, and Valentine’s Day cards.